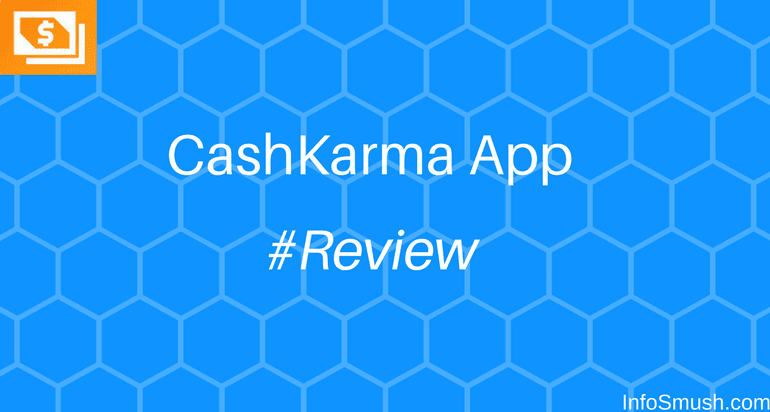 CashKarma is developed by the same company as AppKarma which I reviewed here. As you can see their name is quite similar. But it's not just their name that's similar, the ways to earn money and interface is quite alike too. So, if you have used AppKarma you won't face any trouble making money with CashKarma. 2. Open the app and tap on "Register". 3. Fill the form and sign up. 4. You'll get 50 Points. 5. Now enter "siter" as referral code to get 300 points. 6. Now verify your email address to get the rest 50 points. And various achievements. For each achievement, you unlock you'll receive bonus points. At CashKarma you'll earn 10% of what your referrals earn. And your referrals will get 300 points when they enter your referral code. You can redeem your points for PayPal Cash and Amazon Gift Cards. It does not have as many rewards (redeem options) as AppKarma, but if you like to get paid in Cash (like me) you can try this CashKarma. Really good info you shared. We are very impressed to see your blog. However if anybody want to buy Karma Koin Game Cards instantly no worry. SteamCardDelivery is the best place to buy Karma Koin Game Cards. All our cards are digitally delivered to your email within 15 minutes and can be used immediately.